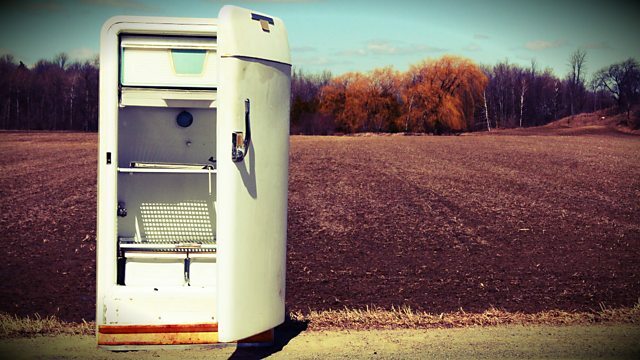 You can't fix a fridge yourself. Although someone suggests turning it upside down for ten minutes. You can't fix a fridge yourself. Although someone suggests turning it upside down for ten minutes. The Undertone's fridge is freezing the milk. The Drifters sang about two bits and a dollar. But how much is two bits? Sean was doing a crossword yesterday and thought one answer was 'nickel' but he didn't fill it in because he didn't realise it was a real word. Sam is working at a car park and needs a record to heat him up. Music from The Drifters, Sam Cooke, Proclaimers, Marty Robbins and more.